Hey, Bobcats! It’s Luis from DOIT, back to bring you more tools to checkout throughout the semester. With more and more technology in our lives, we are re bound to run into some trouble with them. Luckily, Bobcats have a great resource on both campuses to help them with all of our tech needs. In San Marcos, ITAC is located in MCS 262 (middle of Derrick Hall); in Round Rock, ITAC is in Avery 302. The team at ITAC provides Bobcats with software solutions, helps with hardware failure and so much more. It’s your one-stop-shop for all tech trouble-shooting. ITAC has certified Dell and Apple technicians on duty to help you with virus removal, software installations and various other services. 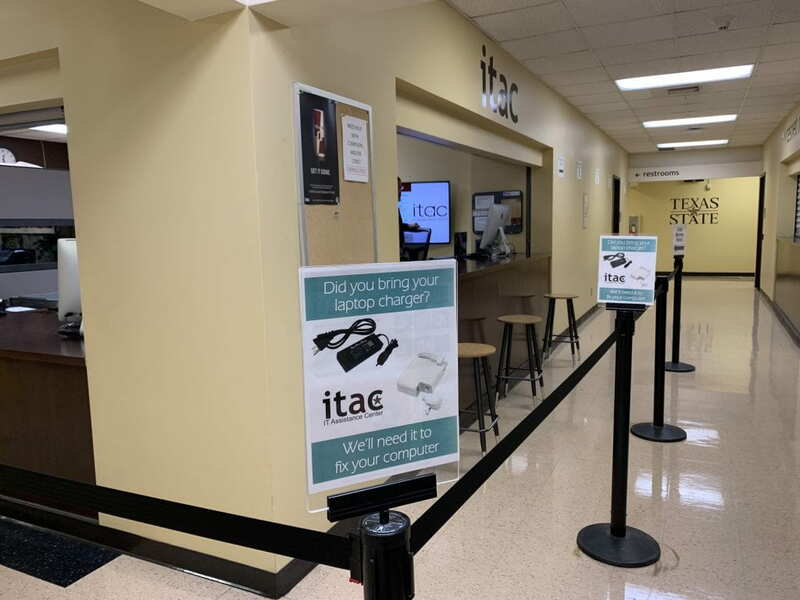 Not able to come to an ITAC Walk Up Center? 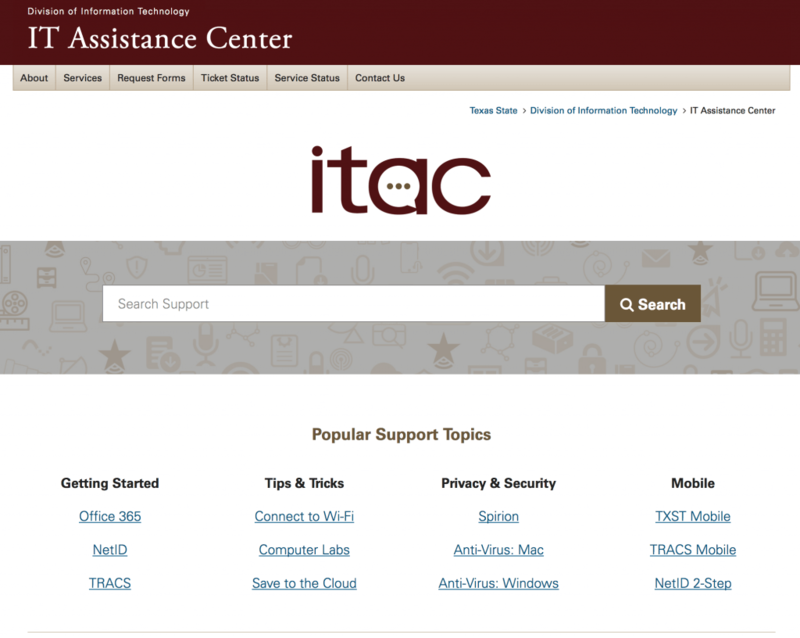 Don’t worry, you can still live chat with ITAC support 24/7, 365 days a year by visiting their website. If you’re looking for additional support, you can browse their website for a variety of topics. Good luck this semester, Bobcats! Stay safe and take care of your computer needs with ITAC. 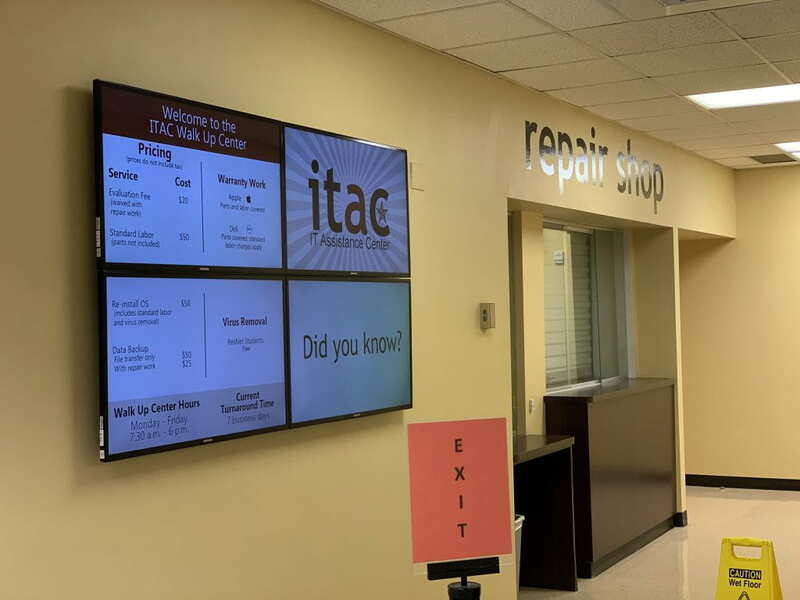 This entry was posted in Featured Services, Services and tagged assistance center, Itac, texas state, Texas State University, txst, TXST DOIT, TXST ITAC, txst services by Luis Seijo. Bookmark the permalink.